One of the up and coming blogging tools is Podcasting and Skype Interviews. Podcasts are just like a radio show; so no pictures or written blurb, just an interview between two or a group of people. They tend to be a bit longer than say a blog post might be, although just like having background music you can multitask whilst they’re playing in the background. How cool is that? And then you have Skype Interviews, which is such a great resource to share stories and nail down inspiring travel advice. Here we will post our Podcasts and Interviews, offering an alternative storytelling medium to our normal fun-time videos and blogs. So stay tuned. 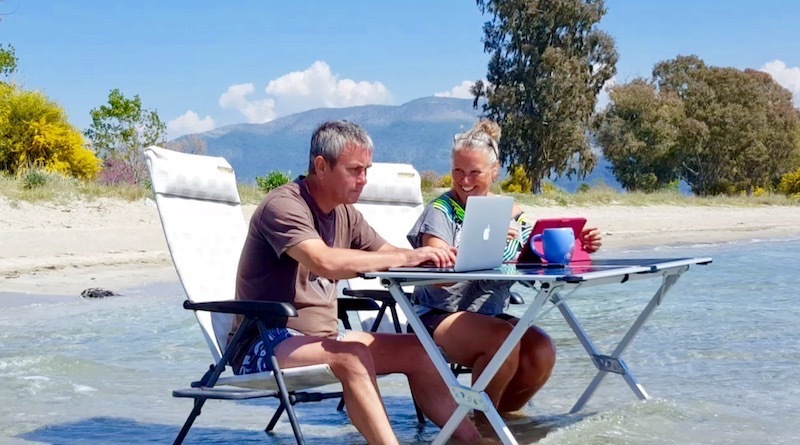 In this series of Vinterviews, Claire asks me some key questions about living in a motorhome and travelling full time. Each one is only 3-4 minutes long, so check them out. You can find out more about Claire and her mission to help mature women travel more by finding her on Facebook. 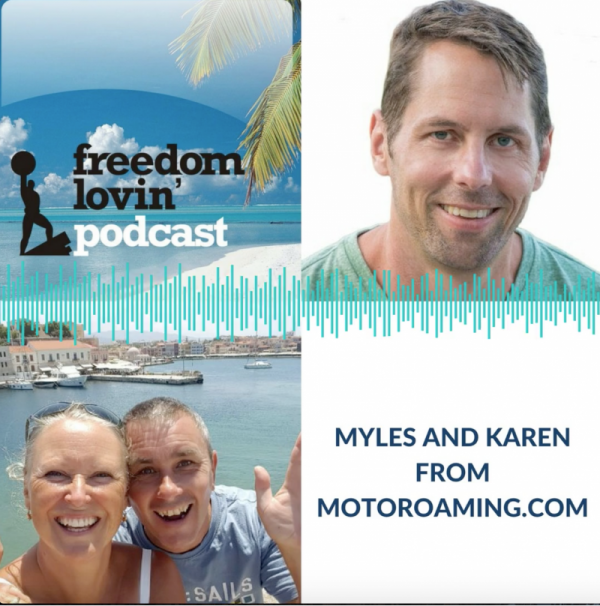 Kevin runs Freedom Lovin’ where his passion for freedom came from a place of being trapped in an ‘unfree’ world. From that moment on he set out to explore what freedom meant for himself and others and now runs his vocation to help others find their own true definition of freedom in their worlds. Kevin loves (and is very good at) running Podcasts and stumbled upon our website. Loving our story he got in touch and asked if we would be interviewed. And here is the result of our time together. If you click on the image below you will be taken to the recording on Kevin’s page. Whiz to 6mins 24secs on the Podcast, you’ll be able to jump straight on into our interview. It was so much fun and Kevin was such a great host. Had a great time. Thanks Kevin.